Norwegian Dawn Cruise Ship - Our first cruise on Norwegian Cruise Lines. The Norwegian Dawn cruise ship is the first NCL ship that we sailed on. Warren and I enjoy cruising. However I am not a fan of the traditional cruising - mainly I don't like eating in the dining room at a designated time. Especially if we have the an early seating in the dining room. We hate having to rush back, shower and get changed for dinner. In May of 2006, we wanted to take a holiday in July as Montana was going to camp. Warren suggested a cruise and I said, only if I don't have to be at dinner at a certain time and I haven't seen Bermuda - maybe if the itinerary goes to Bermuda. Next thing I know, Warren found NCL - freestyle cruising (so no dining times) - and the Norwegian Dawn cruise ship - Itinerary is New York City to Bermuda and the Bahamas. I couldn't fight that! So I started to do some research on NCL and the Norwegian Dawn cruise ship. At the time it was one of NCL's newer ships (at the time). I found that people either LOVED NCL and the freestyle dining or hated it. There never seemed to be much middle ground. This trip worked for us as we only had a week or so and it departed from Manhattan. We used our air miles for airfare, however on the night we were to fly out, LaGuardia was fogged in. We had a business meeting in Manhattan later the next day so we had to get into New York. We hopped in the car, drove instead. The benefit of a New York departure and living in Toronto (or the Eastern Seaboard I would think). I joined a couple of online boards and ended up meeting a great group of people that were all going on the same voyage. So Warren started to look into pricing - he ended up with a great deal for a suite. Then a week before NCL called us and offered us an Owner's Suite for a little more money. We couldn't resist. Best decision we ever made - and I am sure it has majorly contributed to our love for NCL. This is a video we did of our suite! We were treated like a King and Queen in the suite and met so many great people - we LOVED the butler service and the freestyle dining. That was it for us -Norwegian the way! 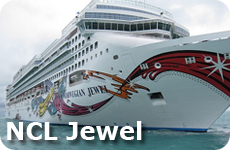 The next summer we wanted to book a cruise to either Hawaii or Alaska, again we looked to NCL. We decided that we didn't want to be cold so Hawaii won! NCL was doing the NCL America program and had 3 ships, the Pride of America, Pride of Aloha and the Pride of Hawaii. We had heard that the service on the Hawaii ships wasn't as good as the regular NCL ships, but we knew we wanted to book a suite anyway so hopefully it wouldn't be an issue. As of March of 2009, there is only one NCL ship left in Hawaii, the Pride of America. We chose the Pride of Hawaii, so we could enjoy the bigger ship, while getting a taste for all the islands. We ended up in a romance suite at the back of the ship which was perfect for us! It turned out to be a beautiful romantic Hawaii Adventure. We also did a cruise to nowhere out of Boston for the inauguration of the Norwegian Gem in December of 2007. 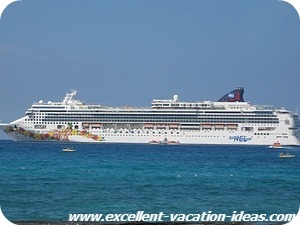 The Gem was the next generation from the Norwegian Dawn cruise ship. It was a 2 night cruise that cruised out of Boston in the middle of a NorEaster winter storm. We stayed in a balcony cabin and enjoyed the ship - but I had never seen waves like that! It didn't matter though the ship held her own and everyone had a great time. For Christmas of 2009 we sailed on the Norwegian Jade, formally the Pride of Hawaii, out of Barcelona. We had a fabulous cruise to Rome, Pompeii, Athens, Egypt, and Turkey over Christmas and New Years Eve. 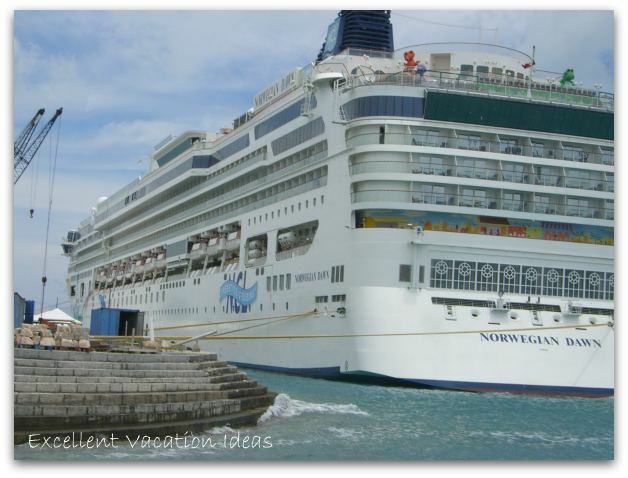 March of 2010, we sailed on the Norwegian Jewel. It was an amazing family vacation idea! Freestyle cruising is a newer concept in cruising. It has been quite popular and most of the larger lines are now adopting some of the practices. See what it is all about. 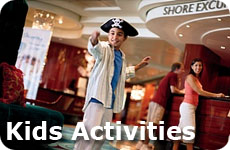 What are your favorite or not so favorite NCL experiences? We would love to hear about your experiences and we know other visitors would too.